The Broadway widening project is bumping up against yet another deadline and vote at the Mayor and Council Meeting– this time on April 19. In advance of Tuesday’s vote the Broadway Coalition and supporting groups like Sustainable Tucson and the Tucson Bus Riders Union are organizing. On April 19, at the City Council there will be a vote on the disputed project. Will the City Council side with the residents (who have had basically the same“modest expansion” message for years? Approximately 200 people– on both sides of the expansion argument– attended the public meeting on April 5. 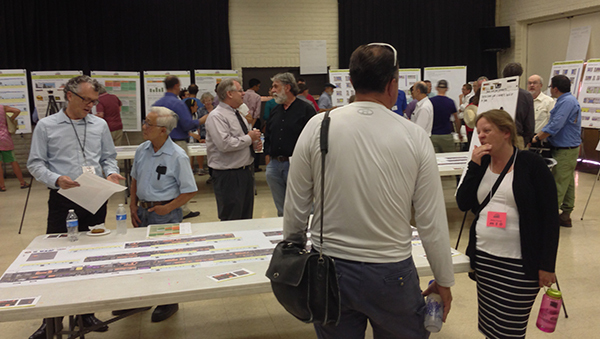 Hundreds of citizens attended a meeting in summer 2014 to review plans to widen Broadway Blvd. 2. Sustainable Tucson and the Broadway Coalition have posted a petition urging the Mayor and Council NOT to pass the 30% design as is; that petition is here: http://www.ipetitions.com/petition/develop-historic-broadway-not-wastefully-widen-the Personally, I would urge you to sign it if you haven’t already, and contribute a comment there as well. In Support of a Walkable, Bikeable, Livable Thriving Broadway for People!Sunday April 17 | 5:30 to 6:00 p.m.
until 6:00 p.m.: Peaceful, legal occupation of Broadway using HAWK light. 4. There’s recently been quite a flurry of substantive opinion writing and advocacy on this subject. The attachments with this message are from advocates including Bus Riders Union, Bus Friends Forever, and Broadway Coalition and the links below are to articles appearing in the Star, the Tucson Weekly, the Casa Maria blog, and the Tucson Progressive. Another key piece is the latest by CM Steve Kozachik in his Ward 6 newsletter of April 11: https://www.tucsonaz.gov/files/ward6/newsletters/Newsletter_4-11-2016.pdf It’s on pages 2 thru 4. 5. On to the City budget! More on this subject soon, but the Mayor and Council agenda this Tuesday also includes the Submission of The City Manager’s FY 16/17 Recommended Budget to the Mayor and Council. The transportation department section is on page 4; top half of the page is transit. Service cuts and fare increases are recommended. Check here for agenda updates so you can see what else is posted, and check what time the study session will start, as well as the order of events for the evening meeting where the Broadway decision will happen. 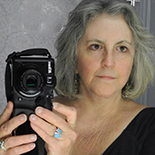 This entry was posted on April 15, 2016 by Pamela Powers Hannley in Capitalism, democracy, economy, Historic architecture, Jonathan Rothschild, Karin Ulich, Paul Cunningham, Richard Elias, Richard Fimbres, Shirley Scott, Steve Kozachik, sustainability, Tucson and tagged Broadway Coalition, sustainability, Sustainable Tucson, Tucson Bus Riders Union.